Canadian Music Week is proud to announce additional award recipients at the 2019 Canadian Music and Broadcast Industry Awards Gala Dinner on Thursday, May 9 at Rebel Entertainment Complex. Guy Brouillard, Music Director of CKOI, who spent 42 years in radio. 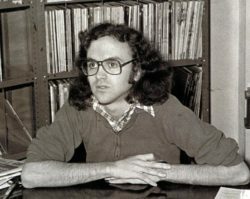 At the age of 21, he was entrusted to find the “sound” of CKOI, a new radio station in Montreal. He successfully guided the station through ups and downs in the music industry over the past four decades. 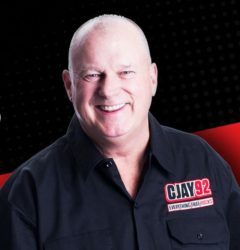 Gerry Forbes, who recently retired after 25 years at CJAY 92 in Calgary and 43 years in the business. He started his career at CHUM FM in Toronto at the age of 13, before moving to CJAY and creating the Kids Fund, which has helped raise money for families that have been victims of traumatic events. Brother Jake Edwards of TSN 1040, who has spent over four decades on air across Canada including Q104 in Halifax, 92 CITI and 97 Kiss FM in Winnipeg, and Q107 in Toronto, before becoming morning show ratings leader at Vancouver’s Rock 101 for a record breaking 17 years. The 2019 recipient of the Allan Waters Young Broadcaster of the Year Award, in memory of legendary Radio Programmer Steve Young, is Brad Karp from Country 93.3FM in Fort McMurray, Alberta. 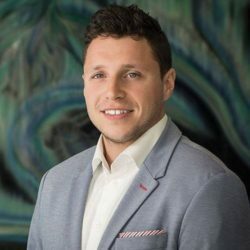 Morning radio host Brad Karp will be invited to participate in the Radio Interactive International conference activities at Canadian Music Week May 9 -11, 2019 in Toronto. 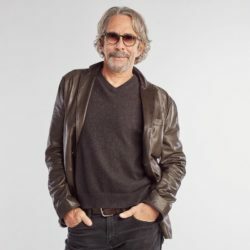 He will be presented his award at the Programming 2020 Masterclass panel at the Sheraton Centre on May 9, and will be recognized during Canadian Music and Broadcast Industry Awards Gala Dinner that evening. Previously announced honourees for the 2019 Canadian Music and Broadcast Industry Awards include Robbie Robertson as the recipient of the Lifetime Achievement Award in the Canadian Music Industry Hall of Fame, and Michael McCarty and Steve Herman in the Canadian Music and Broadcast Industry Hall of Fame. Tickets for the Canadian Music and Broadcast Industry Awards are available for purchase through the Canadian Music Week website here. Now in its 37th year, Canadian Music Week is Canada’s leading annual entertainment event dedicated to the expression and growth of the country’s music, media and entertainment industries. Combining multifaceted information-intensive conferences; a trade exposition; awards shows and the nation’s largest new music festival which spans seven nights of performances (May 6 – 12), with hundreds of showcasing bands at more than 40 live music venues in downtown Toronto. All conference functions take place at the Sheraton Centre Toronto Hotel, 123 Queen Street West in Toronto (May 9 – 11). Guy Brouillard truly one of North America’s most prolific taste makers. For decades he has curated some of the biggest hits not only for his audience in Montreal (look to the legend that is CKOI) but across Canada and globally. A passionate programmer finally gets recognition outside of his home province. Congratulations Guy!